Logins this hour: 668 ? 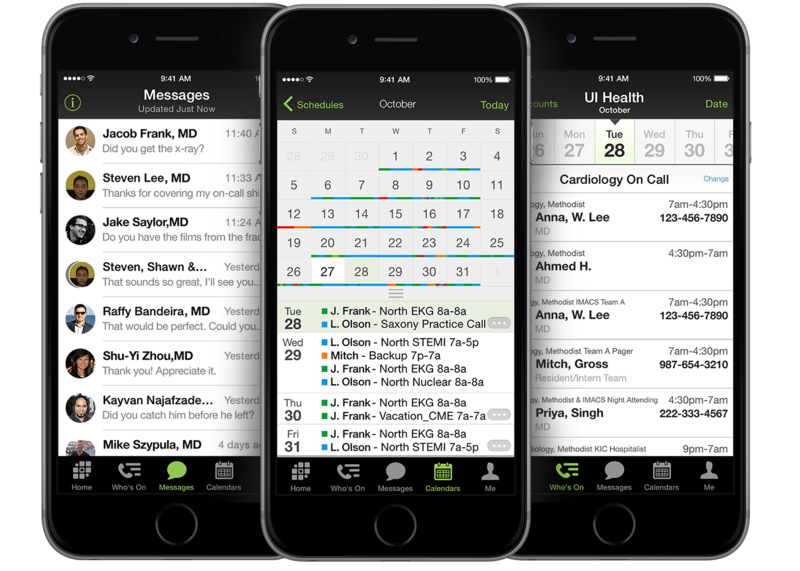 Build and maintain Amion schedules in our desktop scheduler, OnCall. Only the scheduler needs access to OnCall. Your providers and other staff view schedules at Amion.com or via the Amion mobile app. Amion offers two types of scheduling platforms: provider/health professional scheduling (often referred to as Attending or Basic scheduling) and resident/fellow scheduling. The Attending platform provides a multi-year schedule while the Resident platform is per academic year. OnCall allows you to save your schedule to your computer, shared drive, or flash drive in the same way as you save files in Word or Excel. The Save and Save as options appear in the File menu. To view your schedule at Amion.com, you must publish your schedule to Amion. Many people need to work from different computers (e.g. on your work computer or on a laptop at home) or share editing responsibilities with a colleague. Only one person can work on the schedule at a time. Our "checkout system" helps coordinate scheduling. If someone is working on the schedule, anyone else who attempts to open it will get a warning that the schedule file is "checked out". Learn about sharing scheduling duties or work from two computers. Converting your residency schedule saves you from starting from scratch each new year. The converted schedule will keep your service lists, clinics, rules, resident names, setup, etc... but with the new academic year dates. All you have to do is update the schedule for the new year such as graduate and promote your residents, enter new interns, and adjust block dates. Your Amion license includes Secure Texting. You may work with other Secure Texting apps and use pagers too.